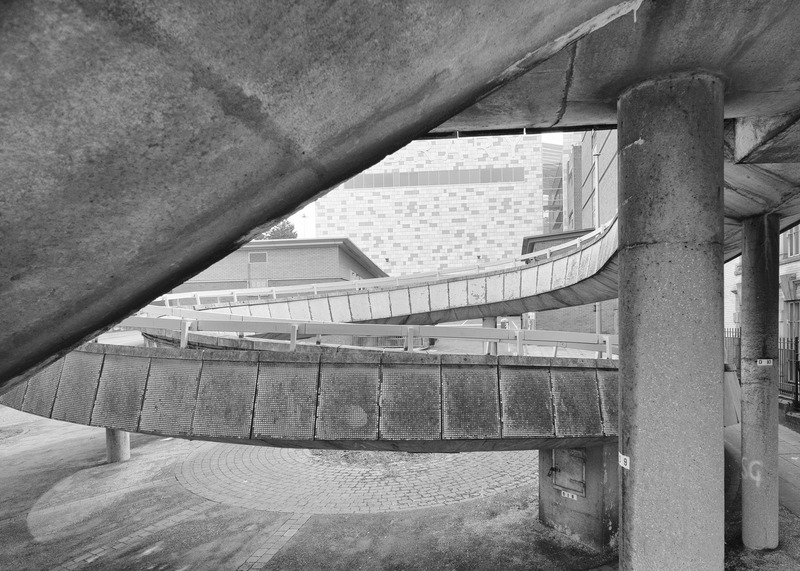 Documenting Brutalism by Tony Harratt. From the 1950’s until the mid-1970’s, concrete structures ruled architectural design. 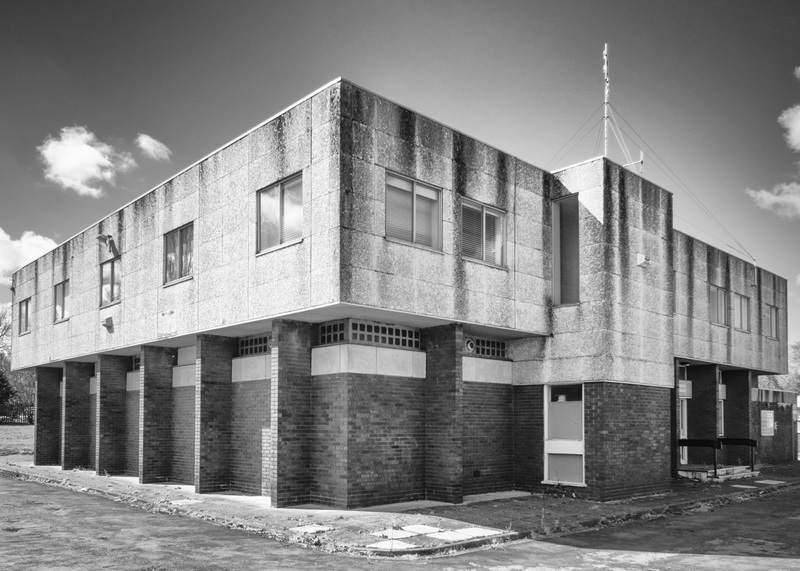 This architectural style became known as ‘Brutalist’ for its starkness and angular buildings. 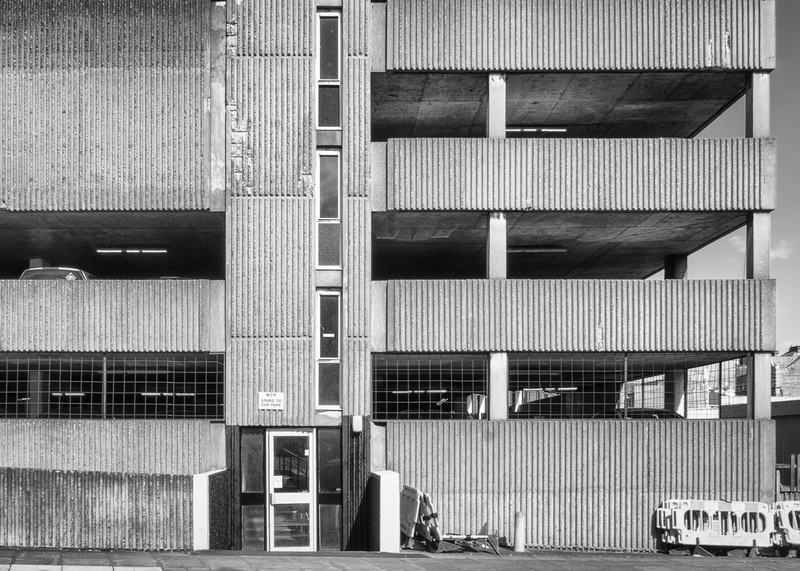 Brutalist originated from the French word for ‘raw’, used by French architect, Le Corbusier, to describe his choice of material, béton brut (literally, raw concrete). Brutalism became popular with governmental and institutional clients, with numerous examples in Britain, France, Germany, Japan, the United States, Canada, Brazil, the Philippines, Israel and Australia. 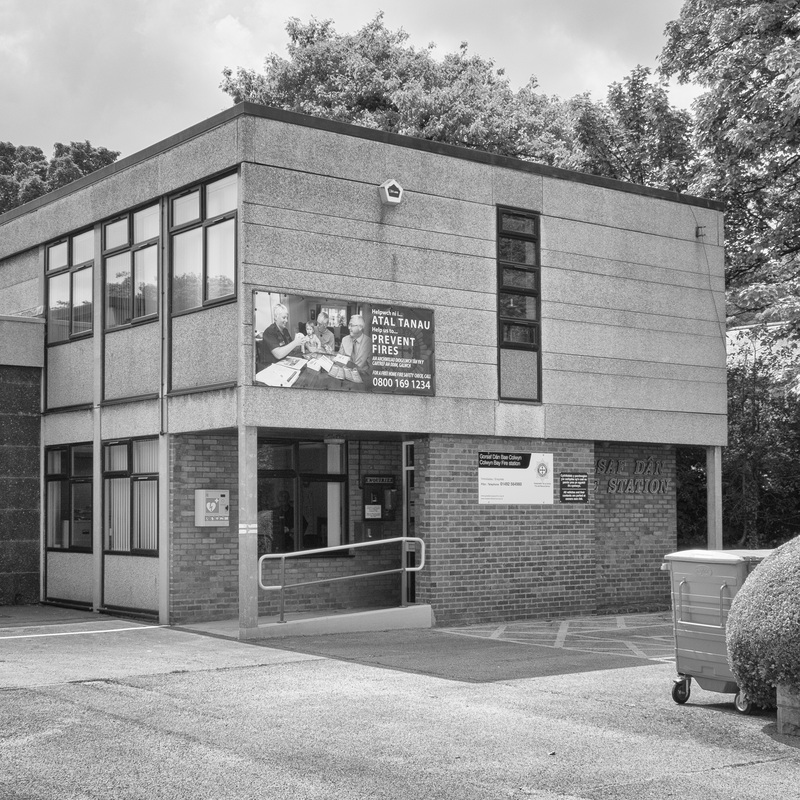 Many of the buildings were constructed for educational establishments, most notably universities, but there was very little commercial use of the Brutalist style. 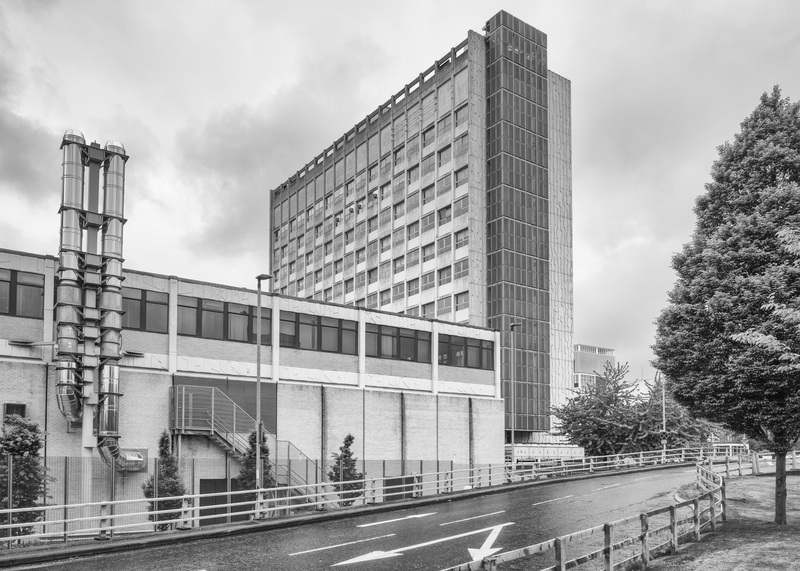 In Great Britain, Brutalist architecture was used for high-rise homes, shopping centres and Government projects. Many of the architects of the era took it upon themselves to plagiarise plans and ideas, resulting in copycat buildings with perhaps a hint of the architect’s own style. There was considerable dislike of the Brutalist movement amongst architecture critics and, in Britain, from Prince Charles, who’s opposition to the style produced many a tongue lashing for the hapless architect, often in the public domain! But there are those who, with the passage of time, have come to love Brutalist architecture. 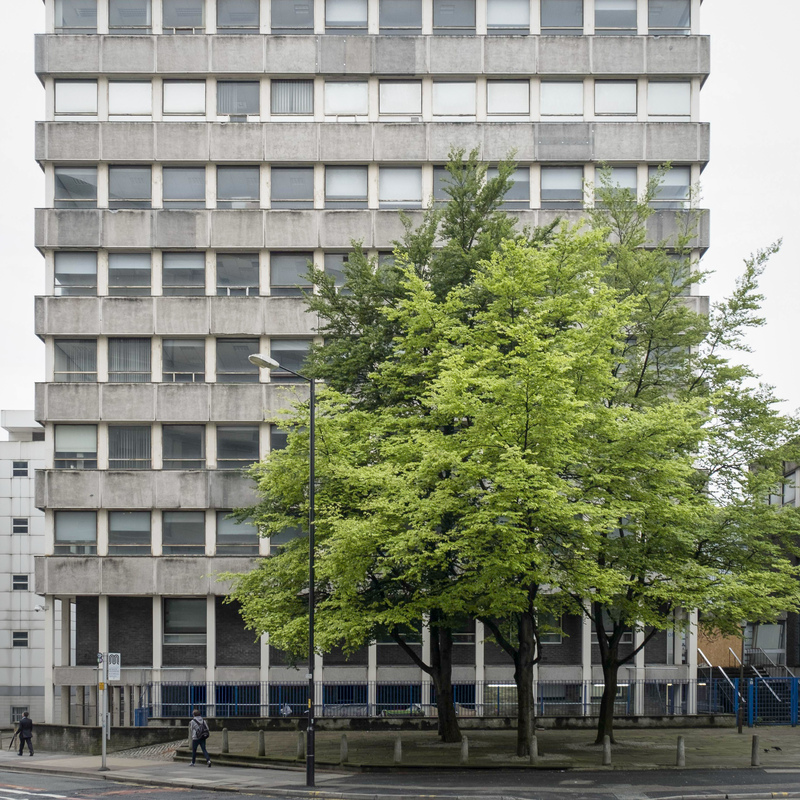 A goodly number of remaining Brutalist buildings have achieved listed protection through English Heritage and other such bodies. Yet other iconic buildings such as the recently demolished Birmingham Library have been passed over when really, they should have been saved. All of the photographs in this project have been made to give some credibility to the buildings in one way or another; perhaps some reflections as in the first image or a splash of colour here and there. There are only four colour images, the last two of which may be a little off topic but, for me personally, rather exciting! I am, perhaps, more than a little sympathetic towards Brutalism and I hope that you’ll see a little of that sympathy in my photographs. Light plays on the concrete of the Liverpool Echo building. The Liverpool Echo building dominates the skyline. Its huge slab-like angularity can be seen. This view looks over the exit of the Birkenhead Tunnel onto Liverpool’s waterfront. The Catholic cathedral in Liverpool is mainly constructed in the Brutalist style. This is the rear of the cathedral and perhaps the most photogenic aspect of the building. Multi-storey car parks were also popular buildings; this is one of many in Nottingham city centre. 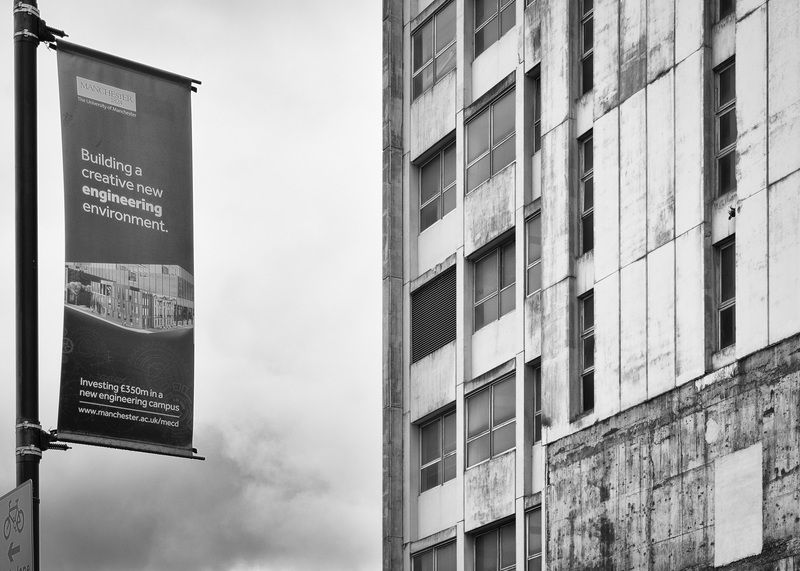 Manchester has much in the way of Brutalist architecture, much of it now lying dormant. The banner suggests better times are ahead! Buildings that are still in use have had various modern additions to their structure such as the heating system shown here. Of course, you can soon smarten a drab disused tower block with a tree or two! Brutalism isn’t just huge monoliths; small structures were built too. A disused Police Station at Bebington on the Wirral Peninsular and Colwyn Bay Fire Station illustrate smaller scale buildings. 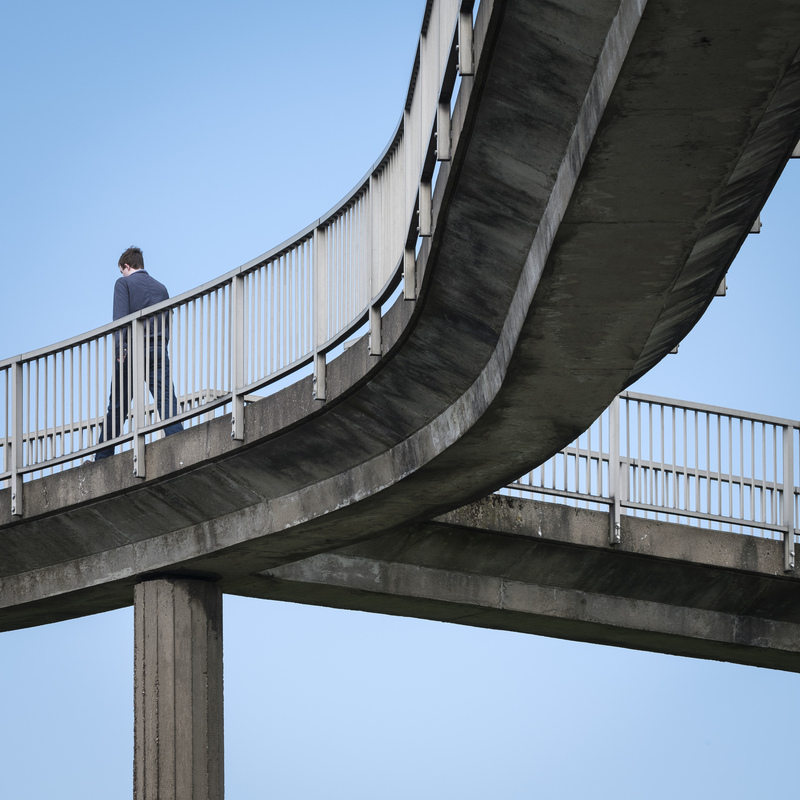 Concrete and the Brutalist style was also used to construct bridges, walkways and flyovers. The flyover featured below carries The Mancunian Way across the south of the city. The two walkways are both on Merseyside, Churchill Way in Liverpool and at Prenton on the outskirts of Birkenhead. Someone must have loved the Prenton walkway for it featured in a TV commercial advertising “Cathedral City” cheese! 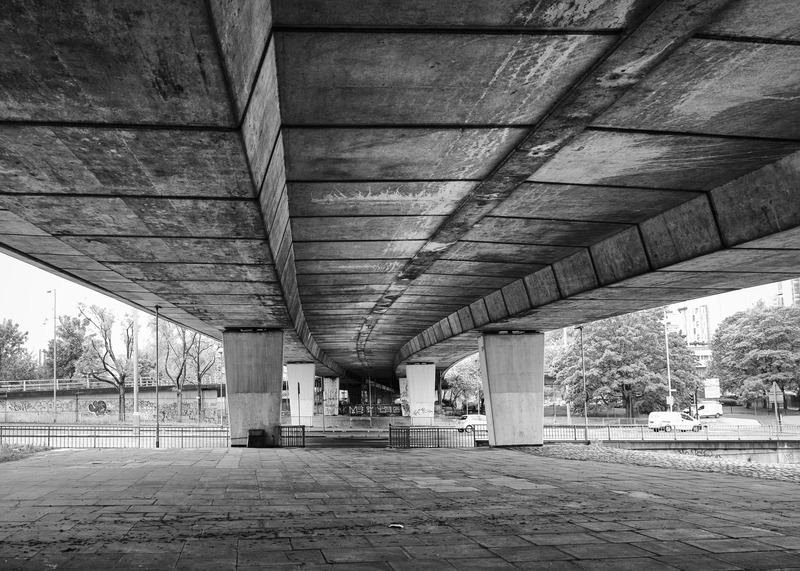 And someone equally loved the Churchill Way complex and the flyover in Manchester for both received awards from The Concrete Society, the former in 1971, the latter in 1968. I suspect that there are many art installations, which are constructed in concrete. 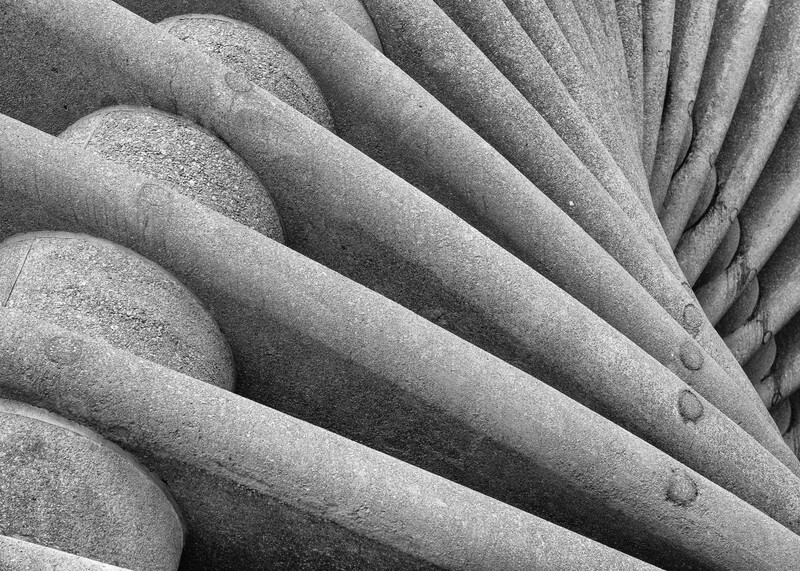 One such feature in Shrewsbury weighs in excess of 110 tonnes and is dedicated to Charles Darwin, who was born in the town in 1809. One wonders if he turned in his grave! 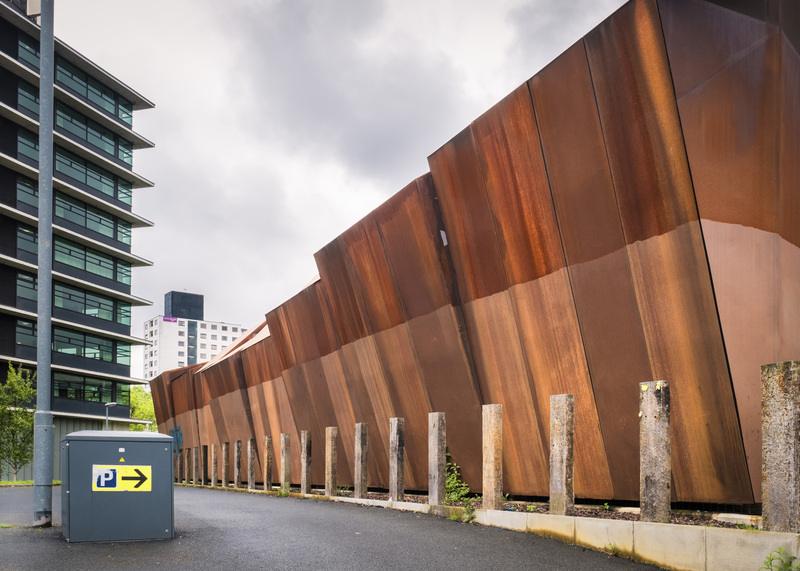 An electricity sub-station and the facade on the multi-storey car park built by Network Rail. Both structures are metal, probably iron. But what lovely structures they are. I was drawn instantly by the colours and spent quite some time getting just the shots I wanted. If this is to be the future… well, there’s one chap who’ll enjoy photographing such colourful New Brutalist structures! Architecture and photography are favourite subjects of mine. And here you mix them beautifully. Throw in the fact the architecture is Brutalism and I’m yours. I love the Liverpool Echo building picture. 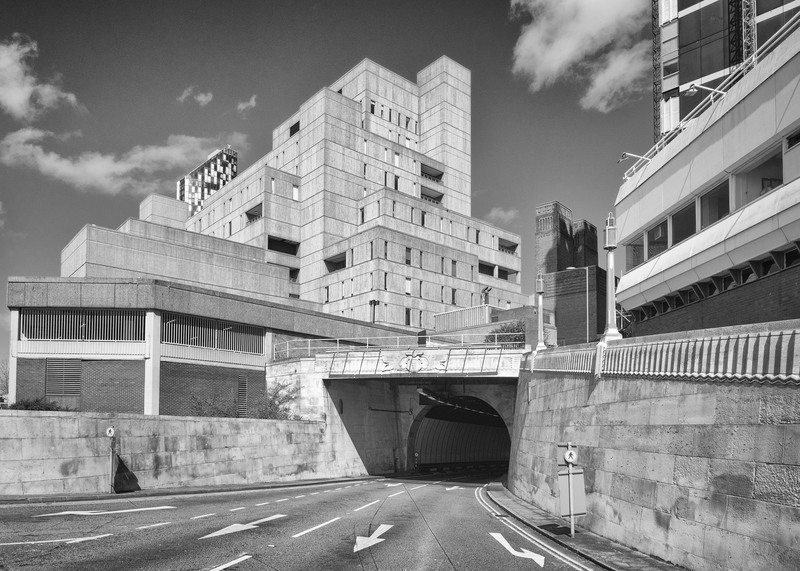 It holds the brutalist style but, the image is softened with the stonework used for the tunnel entrance. I also love the fact that your verticals are vertical. I worked in the building industry for nearly 20 years in and around Birmingham – which has more than its fair share of Brutalist buildings – and I’m obsessed with verticals and horizontals. When they are ‘out’ in pictures it jars. And yours aren’t and they don’t. If ever Brutalism can be said to be relaxing your rendition of it is. 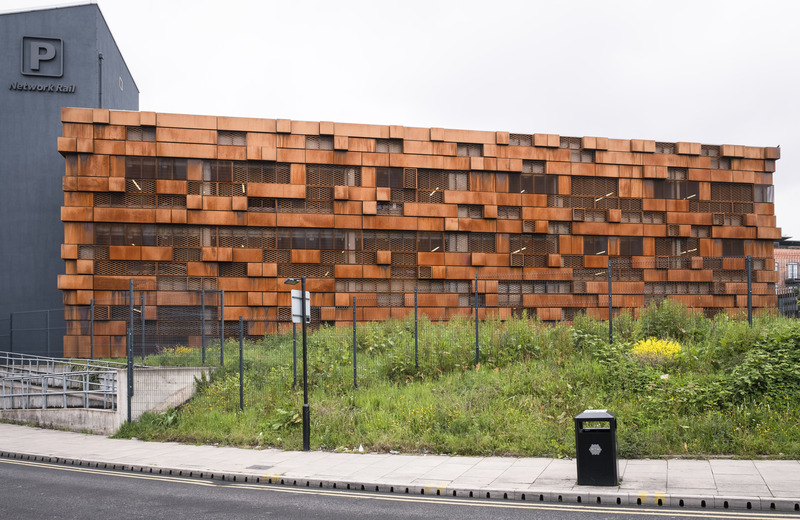 That rusty “iron” as you call it is COR-TEN. A special steel that rusts only to a certain level. The rust then protects the steel and looks glorious and warm. It’s very in vogue with architects and sculptors alike. I’ll stop now. As you can see… my favourite topic. Thanks for posting. Thank you so much for such a glowing review! It’s been a wonderful few weeks gathering images (125+), processing them to reflect my personal view of Brutalism and then deciding on which of the 15-20 images would make the final cut. Like you, I’m obsessive about verticals and horizontals. I use DxO’s View2 and tidy up any loose ends with Lightroom’s tools to get images as straight as possible.. Thank you also for the information on COR-TEN steel. I’d not encountered it previously but I’m thrilled that I could present two images here. I’ll update the post with this info later. Hi Tony, The more I look at these images the more I feel I’m looking over your shoulder. They give the strong feeling of careful seeing; they’re meditative and let the buildings speak for themselves. Julius Shulman produces the same feeling (well in me anyways). We have had a few knocked down in Newcastle, sadly the ‘Get Carter’ carpark, which no-one here was happy about, and the old Bank of England. Cool pictures.